1. Go to the Robotics Menu - Choose Options. 2. Click Change Cartridge. The cartridge will move into change position. 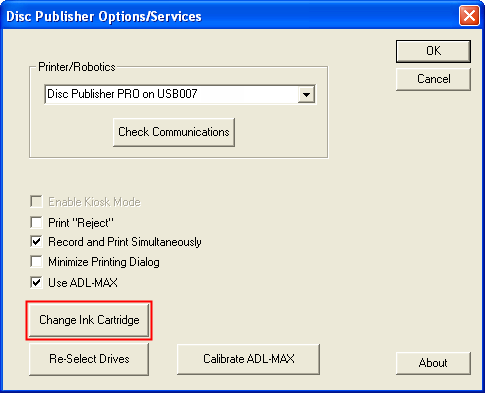 Follow the prompts to complete the cartridge change.